Explanation: Why would a gamma ray burst fade so slowly? This behavior, recorded last October, is considered a new clue into the cause of gamma-ray bursts, the most powerful explosions known in the universe. 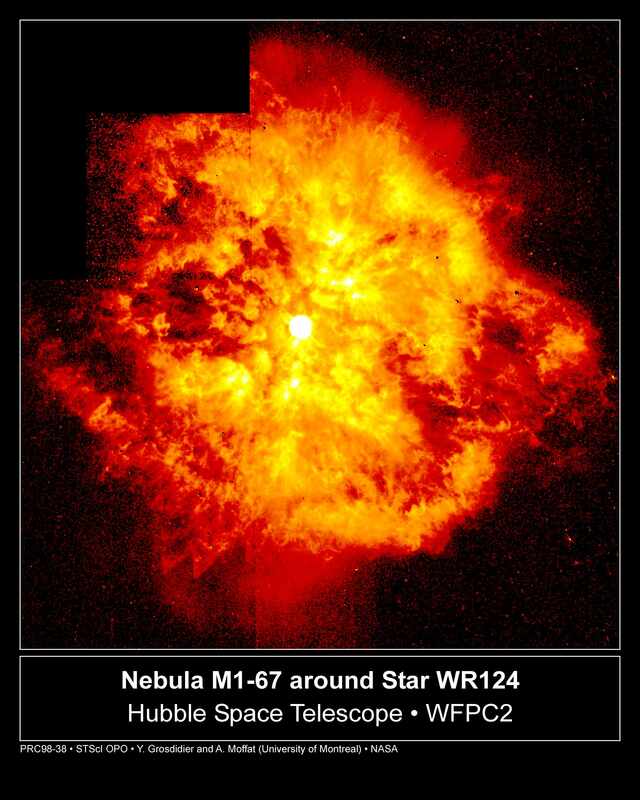 The burst, first detected by the orbiting HETE satellite and later tracked by numerous ground-based telescopes, showed an unusually slow and tumultuous decay in visible light. Speculations on the cause of the unusual light curve include a blast wave striking a windy circumburst medium, a blast wave energetically refreshed by a faster outgoing shock, and non-uniformity in a fast moving jet. Pictured above is the massive Wolf-Rayet star WR124, a star itself undergoing a slow explosion by producing a very powerful but tumultuous wind. 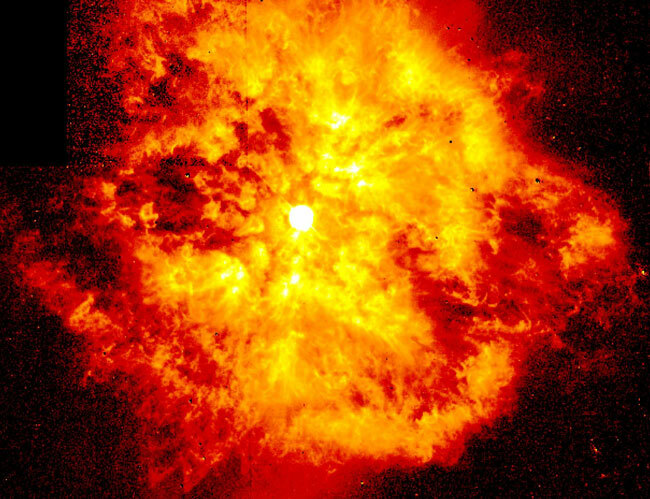 Popular candidate progenitor sources for GRBs include supernova or hypernova explosions from massive stars, possibly ones with similarities to Wolf-Rayet stars.